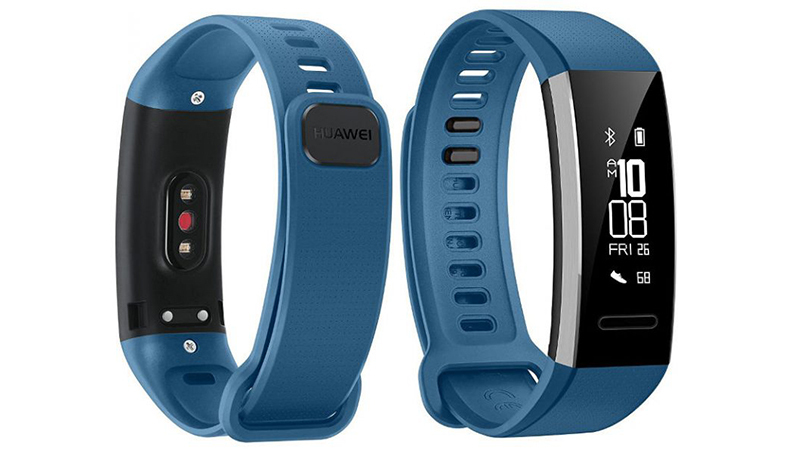 Huawei launched the company’s latest fitness track gadgets, Huawei Band 2 and Huawei Band 2 Pro in India. The latest Band 2 series features heart rate monitoring round the clock with the Band 2 series sporting VO2 Max feature which will measure the quantity of oxygen taken by the body. The gadget also boasts the GPS functionality. It has 5ATM water-proofing technology which will protect the gadget up to 50 meters under the water. The wearing accessory comes with the POLED display. It can be used to track and monitor the daily activity information which includes the distance covered, calories burned and the step count. It supports activities such as breathing, swimming and running exercises. The gadget has the Infrared Wear, Detached PPG Cardiotachometer and 3-axis Accelerometer sensors. It is also waterproof with 5ATM certification. You can use the Band 2 series gadgets to collect the data of your sleep and monitor the status of your sleep. It also supports Alarm notifications including event alarms and smart alarms. You will also be able to view the notifications such as the incoming messages from the WhatsApp and other social networking apps, calendar events, emails, SMSes and incoming calls. It boasts the Independent GPS positioning and VO2 Max technology that deals with tracking the amount of oxygen that is taken inside the body. It also monitors your heart rate. The gadget comes with 100 mAh battery which promises 21 days of usage time besides the 3.5 hours in GPS mode. The Band 2 and Band 2 Pro will be available in Red, Black and Blue colors at a price of Rs 4599 and Rs 6999 respectively via amazon.in in the country. For tutorials on how to improve your life using technology, visit our TUTEZONE section.